Studies show that skipping breakfast may cause higher peaks in blood sugar levels for people with type 2 diabetes. To investigate this further, a team of scientists examined the effects of fasting until noon on the rise in blood sugar levels after lunch and dinner. The results were recently published by the American Diabetes Association. To a large extent, blood sugar control is affected by the body’s inner clock, also known as the circadian clock. The circadian clock explains why the body’s metabolic activity and the production of hormones fluctuates over the day and night. For example, the rise in blood sugar is higher after a meal in the evening, compared to an identical meal eaten in the morning. Additionally, fasting until noon may disrupt the circadian rhythm, causing an elevated blood sugar rise after meals in both healthy individuals and people with type 2 diabetes. 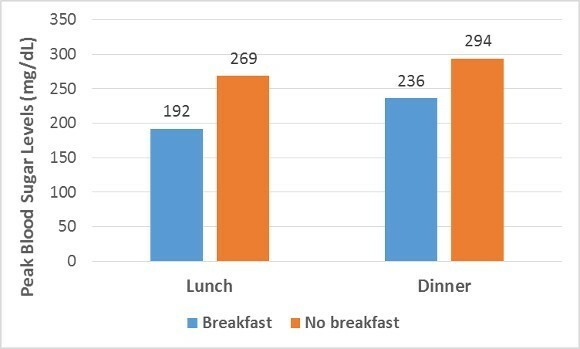 This trial examined the effects of skipping breakfast on post-meal blood sugar control after an identical lunch and dinner. This was a randomized crossover trial in 22 overweight or obese men and women. All participants had type 2 diabetes and were used to eating breakfast regularly. Breakfast: Everyone in this group ate breakfast at 8 AM, lunch at 1:30 PM and dinner at 7 PM. No breakfast: People in this group did not eat breakfast, and continued their overnight fast until noon. Then they ate two identical meals for lunch (1:30 PM) and dinner (7 PM). 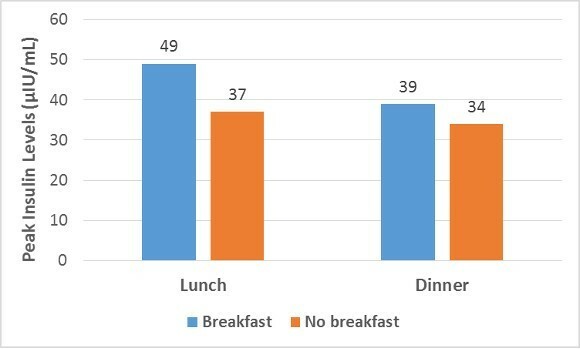 The participants were asked to follow the study’s meal pattern for 2 days before each test day. All meals had an identical calorie and macronutrient content, with about 701 kcal, 20% fat, 26% protein, 54% carbs and 7% fiber. The study had a crossover design, which means that all participants were in both groups on different days, separated by 2–4 weeks. Before and after meals, the researchers measured various blood variables, including blood sugar, insulin, free fatty acids and glucagon. Bottom Line: This was a randomized crossover trial in adults with type 2 diabetes. Its main purpose was to examine the effects of skipping breakfast on blood sugar control. Skipping breakfast and fasting until noon caused higher blood sugar levels after lunch and dinner, compared to eating breakfast. Fasting until noon led to 40% and 25% higher peaks in blood sugar levels after lunch and dinner, respectively. The chart below shows the differences in peak levels of post-meal blood sugar levels between test days. The higher blood sugar levels were partly explained by lower insulin levels and a delay in the production of insulin. In fact, insulin levels peaked 30 minutes later after lunch when breakfast was skipped. This delay in the insulin response was even greater after dinner, or 60 minutes later. The chart below shows the differences in post-meal peak levels of insulin between test days. What’s more, levels of glucagon, which is a hormone that increases blood sugar levels, were also higher after lunch and dinner on no-breakfast days. These findings indicate that skipping breakfast impairs blood sugar control later in the day, causing higher post-meal peaks in blood sugar levels. Additionally, the peaks in insulin levels after lunch and dinner were 24.7% and 10.8% lower, respectively, when breakfast was skipped. These findings are supported by many previous studies. 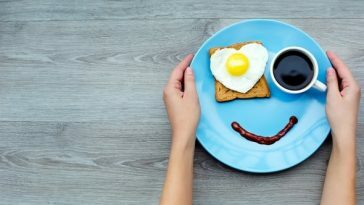 In fact, breakfast seems to be of major importance for blood sugar control. The beneficial effect of breakfast seems to be more pronounced when a large portion of the daily calories are eaten in the morning. Second meal phenomenon: The cells of the pancreas may produce more insulin, and respond faster, if they’ve had to produce insulin earlier in the day. 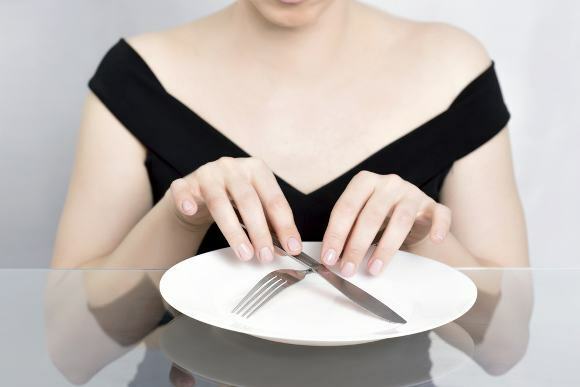 Fasting: Starvation or fasting may temporarily reduce the activity of the insulin-producing cells of the pancreas. Disrupted circadian rhythm: Sleeping and eating regularly is healthy. Sudden changes in this pattern may cause a disruption in various metabolic systems, including those involved with blood sugar control. 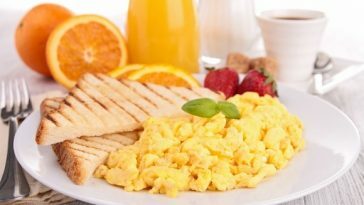 Bottom Line: Skipping breakfast resulted in impaired blood sugar control in diabetic people who were used to eating breakfast. Skipping breakfast also increased the levels of free fatty acids (FFAs) after meals later in the day. Specifically, the levels of FFAs were 41% and 30% higher after lunch and dinner, respectively, compared to breakfast days. This may have health relevance, since FFAs are associated with insulin resistance. Bottom Line: Skipping breakfast also resulted in higher levels of free fatty acids (FFAs) after meals. The health relevance of this is unclear, but high levels of FFAs have been associated with insulin resistance. The design and execution of the study had no apparent limitations. However, its results may not apply to everyone. For example, the study focused on people with type 2 diabetes. 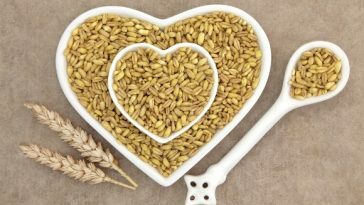 Although previous studies have found similar effects in healthy people, we can’t say for sure if the results can be generalized to non-diabetics. Second, the results may not apply to those who always skip breakfast. People’s circadian rhythms may adjust to different eating patterns over time. Finally, the test meals in the present study had a relatively high protein content, or about 45 grams per meal. If the meals had provided less protein, the study’s findings might have been different. Bottom Line: The study had no obvious limitations. However, the results may not be generalized to everyone. Skipping breakfast causes higher blood sugar levels after meals later in the day, and these effects may persist into the evening. Conversely, eating breakfast may have beneficial effects on your blood sugar levels for the rest of the day. This may be especially important if you are diabetic and are accustomed to eating breakfast regularly. The findings are consistent with many previous studies, showing that fasting until noon may impair blood sugar control in both healthy and diabetic people. This may not, however, apply to those who always skip breakfast. The body may adapt to a fixed meal schedule.